April Chamber Luncheon - CASA & Children's Advocacy Center "How they work hand in hand"
Name: April Chamber Luncheon - CASA & Children's Advocacy Center "How they work hand in hand"
Join us for the Monthly Luncheon for the Bastrop Chamber of Commerce, an excellent opportunity to meet and network with your fellow Chamber members! Luncheons are held the 1st Wednesday of every month, except July and December. Members can register online through their Member Information Center (MIC) account page under Events, Community/Chamber Calendar by accessing our website (www.bastropchamber.com), or by contacting the Chamber staff at (512) 303-0558 or info@bastropchamber.com. 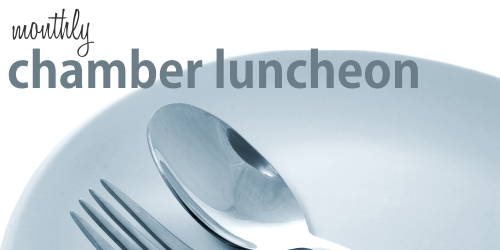 Members also can be added to the master registration list at the office to be included in all luncheons. All Master Luncheon Registration List additions must be accompanied by a valid credit card to be kept on file with the Chamber. Online registrations close on the Monday before the luncheon at 3 PM. Registrations by phone or email Monday and Tuesday prior to the luncheon will be accepted only if room is still available. No registrations or walk-ins will be accepted on the day of the luncheon. Cost is $15/seat for members who pre-register. Future Member registrations are $20 and payment must be made at the time of registration. Online payments can be made by credit card (MC, Visa, Discover, AMEX). Only cash or check is accepted at the luncheon. We will invoice members in good standing.